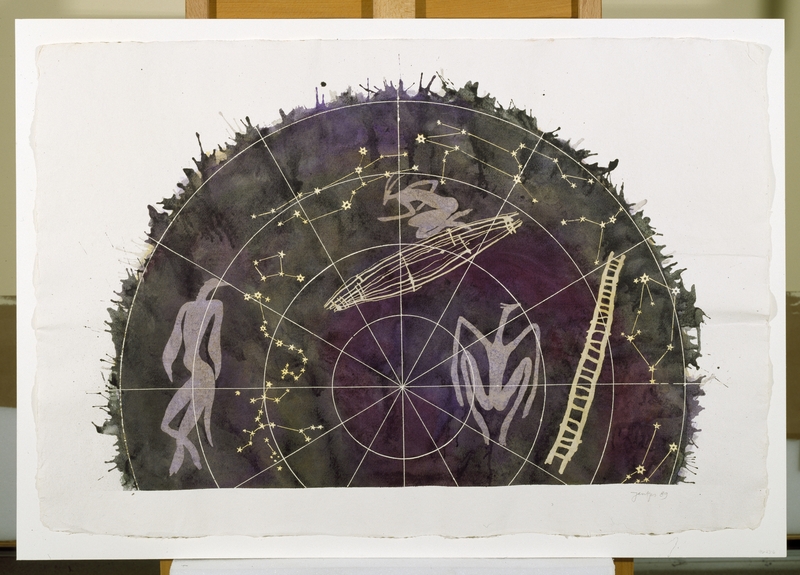 Cosmos Diary | A blog by the Smithsonian National Museum of African Art and partners in conjunction with the “African Cosmos: Stellar Arts” exhibition opening in June 2012. African Cosmos comes to a close this weekend, and after months of becoming entrenched in the world of cultural astronomy and the strong field of astronomy across Africa today, I find the questions posed by the exhibit—and by the artists featured in the exhibit—still resonant. What exists beyond the Earth, and in what way does it impact us? How can we capture our curiosity & awe of the sky and use it as a connection to ourselves and others? 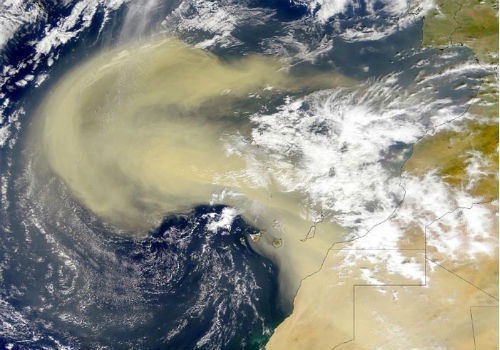 Cultural connections to the cosmos have been found among groups across Africa and beyond, and these connections will certainly continue on into the future. 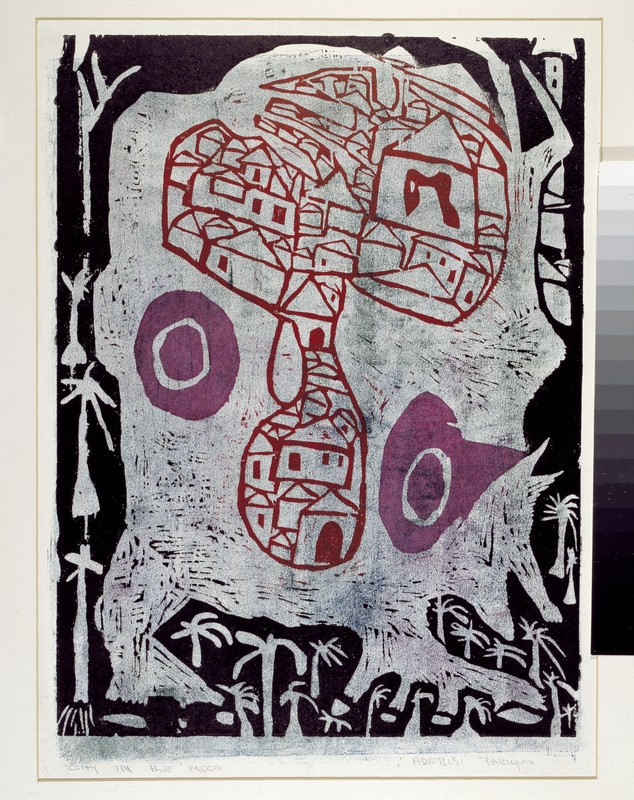 Though it’s hard to pick a favorite piece in this exhibition, one small, perhaps easy to miss, untitled work (above) by South African Garth Erasmus continues to draw my attention and spark a sense of connection. How many of us have stood underneath the sun, looking upward in search of something? The work of Erasmus presents a story of wonderment common to us all. My Room at the Centre of the Universe from Africa meets Africa on Vimeo. My Room at the Centre of the Universe is a 12 minute preview of a 60 minute film being directed by regular AmA film maker Guy Spiller. Together with a richly illustrated resource book, it departs from the act of sensitive and intensive observation common to the fields of astronomy, archaeology and the visual arts. A small Karoo farm outhouse becomes a space of contemplation and creativity for the main character, a 16 year old teenager from Sutherland. One small window in his room acts as a framing device through which he observes and contemplates the landscape, the skies, and ultimately the universe– much like telescopes used by physicists, or the views the Hubble telescope offers humankind. Our guest post this week is by Matthew V. Cassetta, a foreign affairs officer and collector of islands & African stamps. Historical evidence has shown us that ancient Africans studied the sky and formed theories and tales to explain its mysteries, leaving enduring myths and calendars as well as megalithic sites that have changed our views of how the ancestors of modern Africans related to their cosmos. Other contributors to this blog have provided accounts of significant African sites such as Nabta Playa in southern Egypt, and Ng’amoritung’a on the shores of Lake Turkana in Kenya, whose calendars charted the Earth’s alignments with the Sun and the movements of the stars. We can only wonder what exciting new discoveries await archaelogists and historians on the continent as their research progresses. Philately presents us with a rich tapestry of images selected by independent African nations to celebrate some of the astrological wonders observed by their societies. Such stamp issues fall into two main categories: stamps that depict astronomical discovery, often by recognizable scientists; and stamp issues that depict the natural phenomena of the cosmos, giving hints to how ancient peoples may have viewed phenomena such as meteors, constellations, and planetary movements. Researchers and scientists have unraveled the mysteries of the cosmos over time like a puzzle, finding new stars and planets with ever-more powerful instruments. Several African postal authorities have honored such scientists as Galileo and Copernicus, as well as the discoveries they have uncovered. 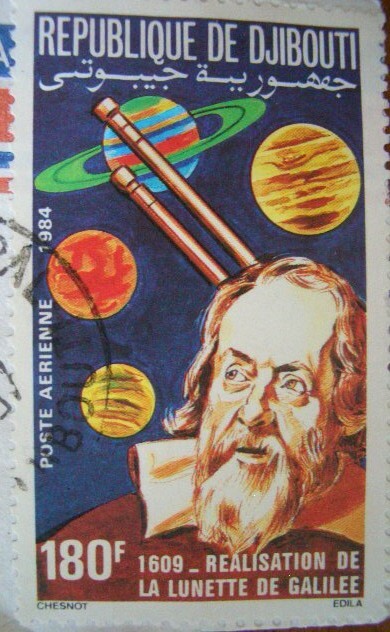 Djibouti issued a 1984 airmail issue (left) to commemorate the successful creation of Galileo’s telescope prototype in 1609, which allowed him to see and document elements such as sunspots, the phases of Venus and the satellites of Jupiter. 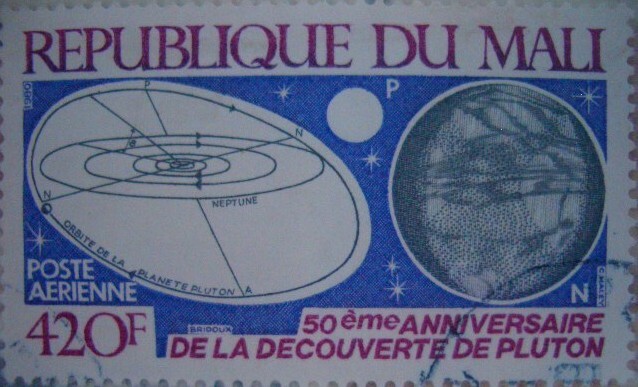 Modern scientific advances have also been celebrated on African stamps, such as Mali’s issuance of a 1980 airmail stamp (below) celebrating the 50th anniversary of the discovery of Pluto, which made headlines around the globe when announced by Clyde Tombaugh at the Lowell Observatory in March 1930. Perhaps the most enduring images however, are those of the phenomena that delight societies who look up at the night skies and marvel at what they see. 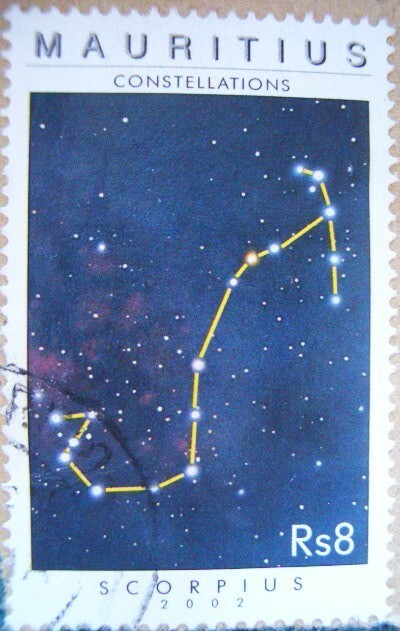 Constellations of stars have been the subject of many stamp issues, and most recently from African nations such as Namibia and Mauritius. Pictured here (right) is one such image from a 2002 set of Mauritius showing the pattern of stars which make up the Scorpius sign (others in the set show the constellations Orion, Sagittarius and Crux). Eclipses and comets are also popular themes which have been depicted on recent African stamp issues. These images reflect the wonder that these events inspire in those that look on them from below, and connect modern societies with their anscestors who passed down tales and legends inspired by similar phenomena. 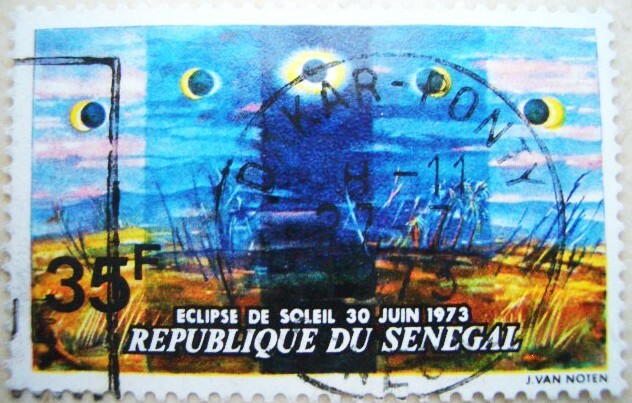 One very beautiful example can bee seen on a 1973 issue by Senegal (above) showing the dramatic phases of light and dark over the local landscape, produced by a total solar eclipse that ocurred on June 30 of that year. 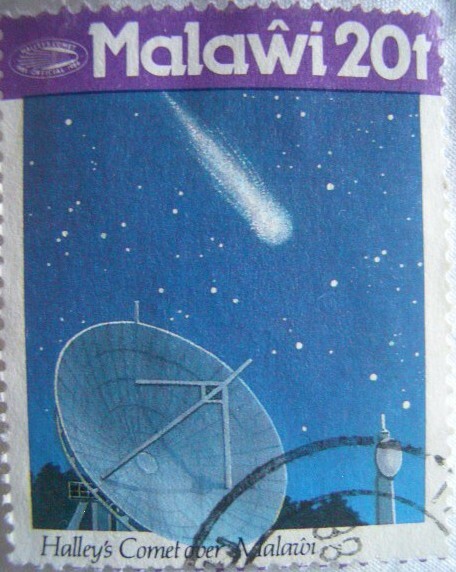 Similarly, nations across Africa and the globe featured the March 6, 1986 passing of Halley’s comet on many local stamp issues. Pictured at the beginning of this post is one from Malawi, showing the comet passing through the starry night sky over the country. The much-celebrated passing of Halley’s comet occurs just once every 75 years and inspired skygazers worldwide to witness this thrilling and rare occurrence. Astronomy on the African continent evokes rich traditions and proud historical achievements. We can expect new generations of African researchers to take research and discovery to exciting new heights and to uncover further clues and evidence to how ancient cultures related to the cosmos. 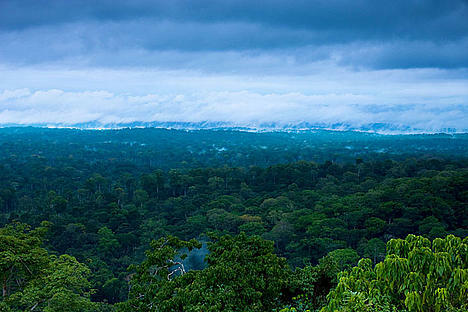 Cameroon has announced that it will begin using satellite imagery to monitor and protect the country’s forest reserves. It will be using use images from the SPOT satellite Earth Observation System to create baseline maps in order to track changes to forest cover. SpaceX, headed by South African born Elon Musk, has been awarded a $82 million contract with NASA for the launch of the national Oceanic and Atmospheric Administration’s Jason-3 spacecraft, scheduled to launch in December 2014.